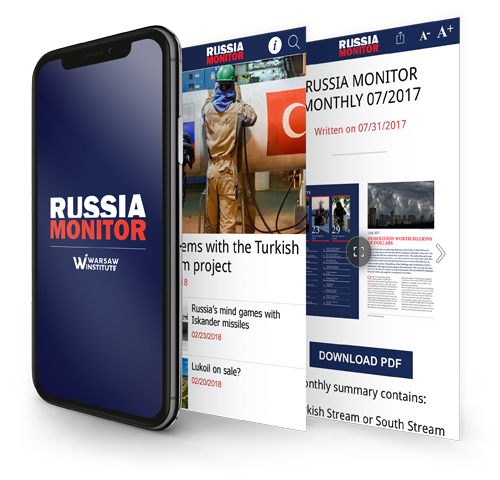 Russia Monitor is a review of the most important events relating to Russian security (broadly understood). Warsaw Institute experts monitor and analyze the Kremlin’s activities and those of its subordinate services to anticipate their short-term and long-term consequences, not only for Russia, but particularly for neighboring countries and the Western world. Therefore, the subject of our analyses are both events and phenomena closely related to the internal situation in Russia, as well as its foreign policy. We are interested in Russian politics behind-the-scenes, changes in security forces and special forces, and the conditions surrounding offensive activities, including military operations.